Approximately 10,000 credit and noncredit students enroll each fall and spring semester. Nearly 6,000 students annually take advantage of the College's many outstanding community education and community services classes. The College has earned a reputation as a quality educational institution providing a pathway for achievement and success for students of all ages and from all walks of life. In order to provide students with the opportunities they need, and to ensure that students achieve their specific goals and objectives, the College offers Associate of Arts and Associate of Science degree programs. 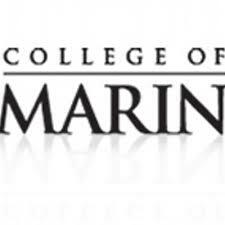 College of Marin participates in guaranteed admissions to specific University of California campuses, California State Universities, and private universities. College of Marin also offers cross enrollment at UC Berkeley to qualified students. Contact the COM Counseling Office for more information. In addition, the Counseling Department oversees the Transfer Center, staffed for the purpose of helping students research transfer and admissions requirements. In addition the College provides thirty-five two-year vocational and career programs, as well as providing basic skills, English as a Second Language (ESL) education, and community education classes. The College's workforce preparation programs provide the necessary skills for success in a globally competitive workforce environment. Whether the goal is career advancement, career change, or entering the workforce for the first time, the College offers a range of programs to help students succeed.